LaShunda is a Dallas native and graduated from Skyline High School. After high school, she enrolled in the medical assistant program at Ultrasound Diagnostic School in Irving. Upon completion of the Medical Assistant program she began working in the medical field. 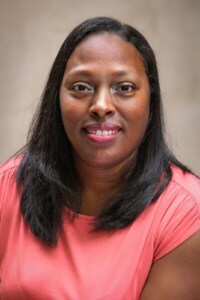 LaShunda then decided to begin pursuing her nursing license at Dallas Nursing Institute where she received her certification as a Licensed Vocational Nurse in 2010. She then began working at Covance Clinical Development before taking a break from working to spend time with her son in his last year in high school. LaShunda joined the Connecting Point team in August of 2014 and brings a genuine and empathic personality to our teammates as our nurse. She is married to her husband Randy and has two children. LaShunda loves helping others and is a perfect fit to the CPPC family.